We’re collecting your bottle caps and dollars to put buddy benches in school playgrounds around Lee County! It’s recess! Kids are screaming and balls are flying. Then you take a closer look, and find that some kids aren’t joining in on the fun. Christian Bucks, a 2nd grader at Roundtown Elementary School, witnessed lonely classmates at his school’s playground, and wanted to make sure everyone had a friend. His solution? 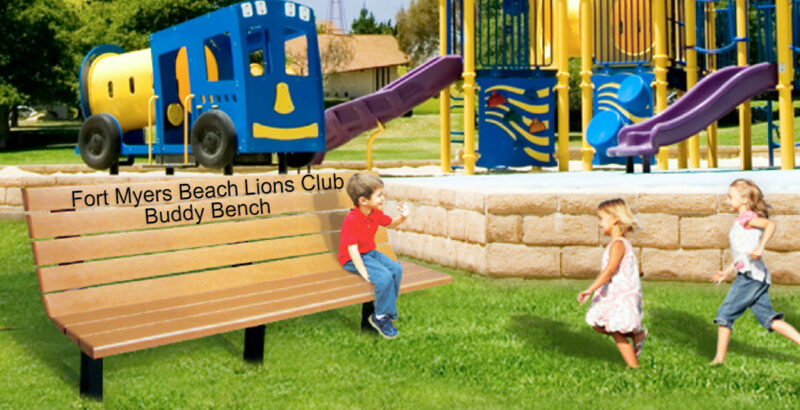 The Buddy Bench – modeled after a bench he saw in a German school brochure. You are looking for a friend. When someone asks you to play, join them, and always remember to glance over at the school’s Buddy Bench to invite new friends to join in on the fun. 1. If you are new to the school. 2. If you want to make new friends. 3. If your friends aren’t at school that day. 4. If you want to play something different than what your friend is playing.